Hey, lovely! Happy Labor Day! I hope you’re enjoying your Holiday and the last unofficial weekend of Summer! Now’s a great time to find some real bargains on summer fashion, as stores are starting to stock for Fall. I’ve compiled some of my very favorite finds- all pieces under $30! Click the links below to shop each piece! Get Over $400 in Fabulous Summer Fashion for Just $99 – Limited Time Only! 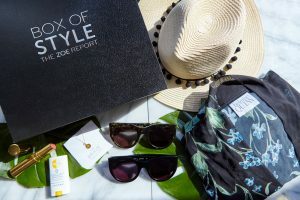 Each season, the box contains at least 5 full-sized products—never samples—that can be styled together or worn on their own! Members can purchase additional items with their summer box at a member only price! Bundle Ouai + DreamDry and save! Its the End of Summer! Time to Shop Exciting Fashion Deals Like this One! These deals will Make this summer even hotter! What are you waiting for? Choose Your favourite style(s) from SheIn today!